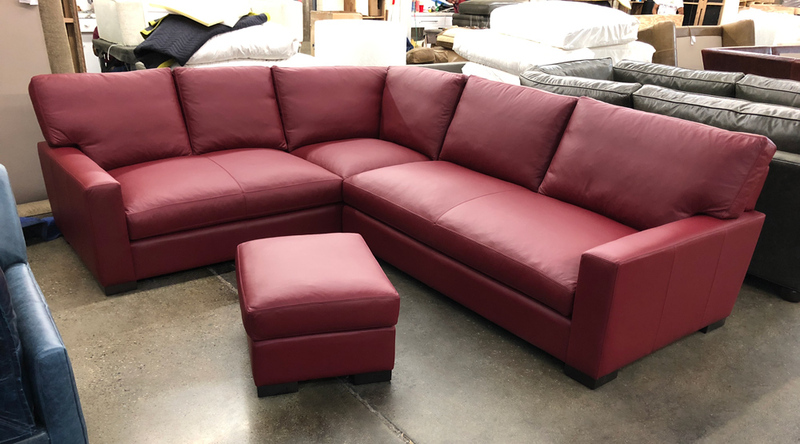 This Beautiful Red Leather Sectional is on it’s way to the Big Apple! 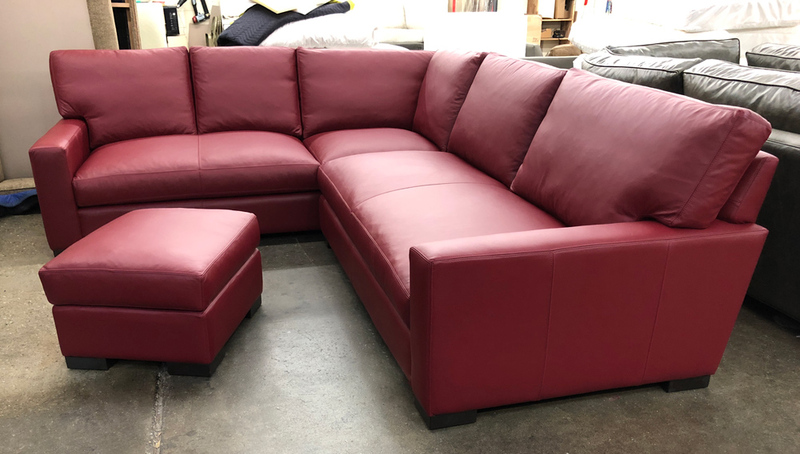 This Braxton Mini L Sectional was made with the long side on the RAF side (right side when facing). 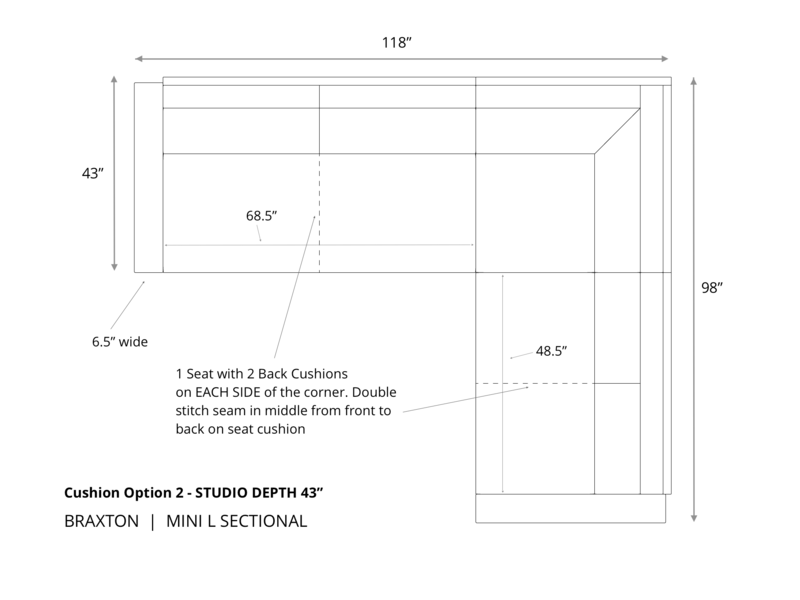 This customer selected Cushion Option 2 (see diagram below) and added a small matching Braxton Leather Ottoman. The leather used is a semi-aniline protected leather, finished in Italy and made with European hides. Rich and luxurious, while also durable and protected for performance. 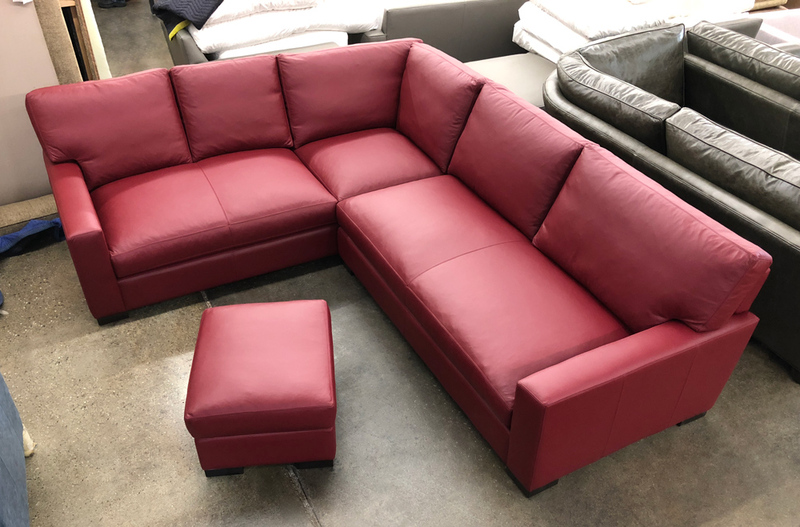 The last option to mention with this sectional would be the “Ears” (see image below). Ears or No Ears, it’s up to you! 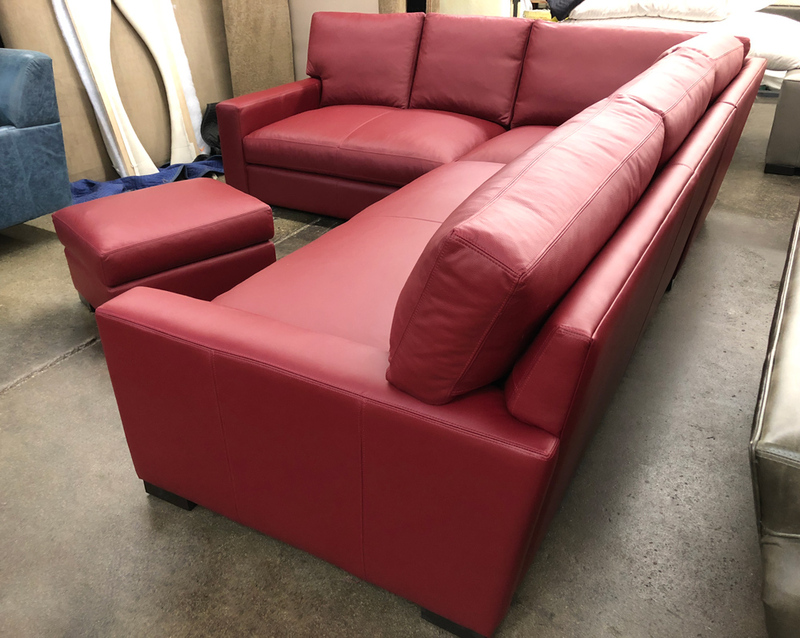 This entry was posted in Braxton, Custom Leather Order Feed and tagged 43" Deep, Bench Cushion, braxton collection, braxton leather sectional, Braxton Mini L Sectional, Chianti, Ears, maxwell leather collection, maxwell leather sectional, Red Leather, semi-aniline on May 31, 2018 by LeatherGroups.